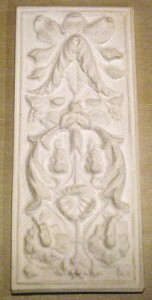 Rob Gaetano went absolutely crazy with the Italian Panel Plaster Molds he purchased from our site. This single mold can be cast over and over with plaster of paris to create these gorgeous panels. They can either be used alone to create a wall hanging or attached to a craft project, or you can cast man of them and use them repeated on a wall, ceiling or back splash to create the most dramatic area you could ever dream of! 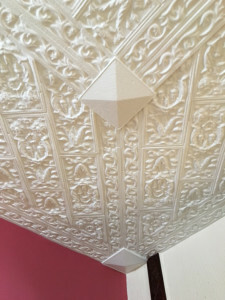 Once dry, the pieces are attached by simply spreading joint compound over the back of the piece then holding it to the ceiling or wall for 60 seconds. Joint compound is the perfect adhesive since it not only holds the piece in place perfectly, if you ever choose, you can actually remove the pieces at some point in the future. But to be honest? Who would want to! 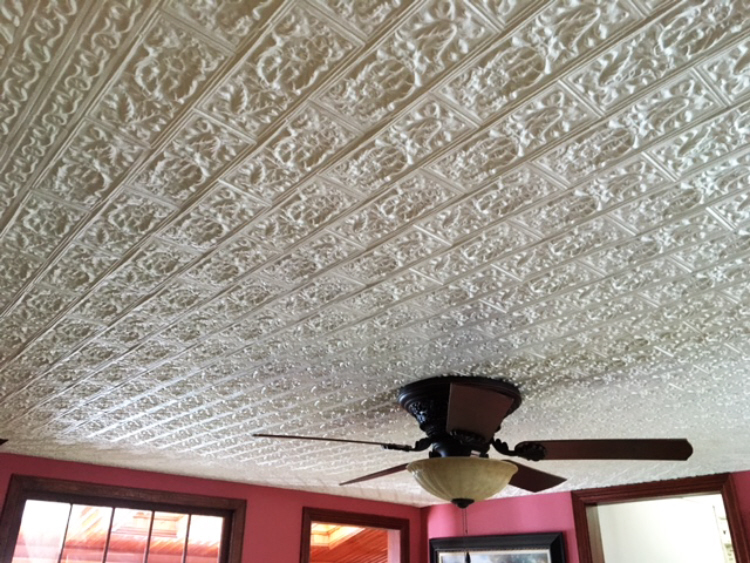 I did some pretty intense plaster work in my home in Idaho. When the home was appraised for the sale, the appraiser actually added an additional $20,000.00 to the value of the home because (as he said): “What you have done is to add custom, permanent plaster ornamentation to this home”. The hair on my arms stood straight up from my delight! Now, imagine the value that Rob has added to his home with this expensive looking ceiling design?